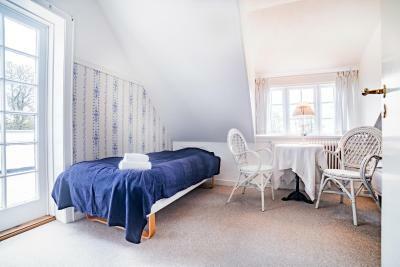 This B&B is set on Sonnerupgaard Manor, a few minutes’ drive from Hvalsø. 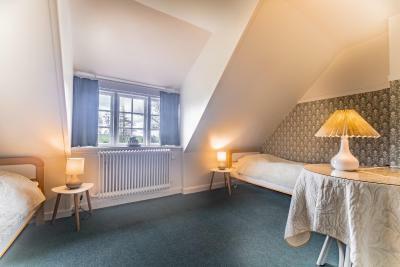 It offers simple rooms, free Wi-Fi internet access and a large garden. Copenhagen is 35 mi away. Sonnenrupgaard Manor dates back to the 1800s. All guest rooms have a seating area and some feature views of the garden and the surrounding fields. Toilets and showers are shared. Guests can unwind and chat with others in the common room, which features antique furniture. Free private parking spaces are available. 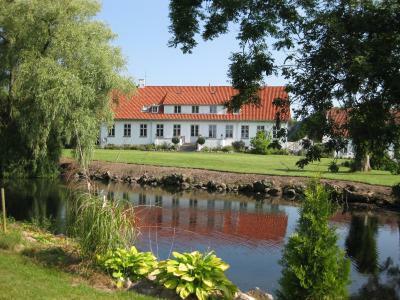 Roskilde Golf Club, Ledreborg Palace Golf and Proark Golf Club are all within 25 minutes’ drive of B&B Sonnenrupgaard. Mountain bike trails are found in Bidstrup Forest, 5 minutes drive from the property. Bramsnæs Bay is 7.5 mi away. This property also has one of the top-rated locations in Kirke-Hvalsø! Guests are happier about it compared to other properties in the area. 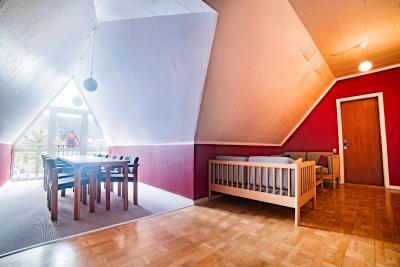 This property is also rated for the best value in Kirke-Hvalsø! Guests are getting more for their money when compared to other properties in this city. 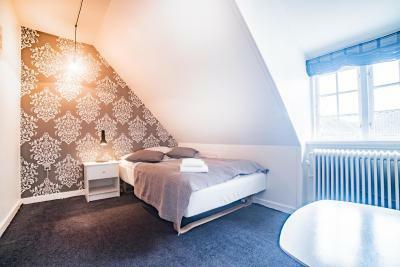 When would you like to stay at Sonnerupgaard B&B? 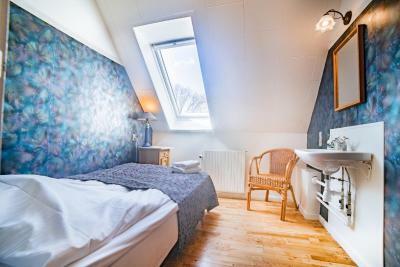 Includes an armchair and a sink. Bathrooms are shared. 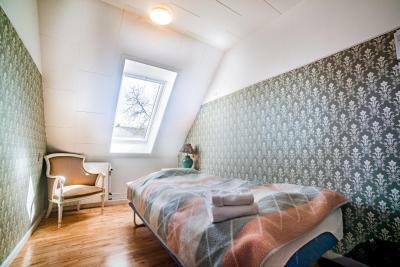 Some rooms feature views of the surrounding fields. These rooms feature a seating area and a sink. Some have a balcony and some have garden views. Toilets and showers are shared. 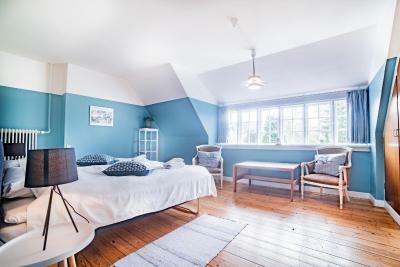 House Rules Sonnerupgaard B&B takes special requests – add in the next step! 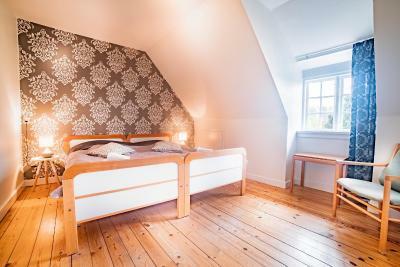 Sonnerupgaard B&amp;B accepts these cards and reserves the right to temporarily hold an amount prior to arrival. 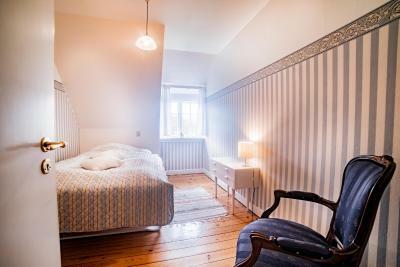 Sonnerupgaard B&B accepts these cards and reserves the right to temporarily hold an amount prior to arrival. If you expect to arrive later than 18:00, please inform Sonnerupgaard B&B in advance. Please note that there is an extra charge when you pay with a credit card. Please note that you may experience noise disturbances during the weekend from the banquet evenings.